No hot water? Call us and we'll have your hot water system up and running in no time. We offer same day hot water repairs with prices starting from $99, including GST. We understand that hot water problems can't wait until tomorrow that's why we guarantee same day service on emergency calls. We've worked with all major hot water system brands and types, including electric, gas and solar hot water systems. Our plumbers are available for fast hot water repairs and installs across Melbourne's eastern suburbs including Ringwood, Heathmont, Vermont, Ringwood East, Wantirna and Vermont South. With over 20 years experience, including emergency repairs, no problem is too small. 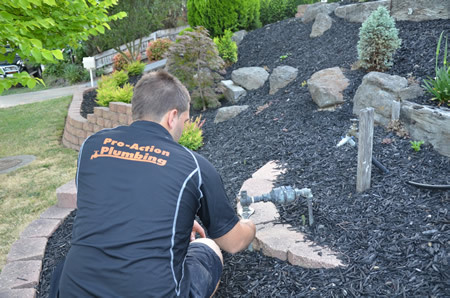 Our qualified and trusted plumbers have extensive industry knowledge that you can be confident in. At Pro-Action Hot Water we are available 24/7. You need us? We’ll be there! We also offer over the phone advice for a quick fix before we arrive. We will expertly repair the problem using quality parts and valves and have your hot water back in working order in no time. We also offer same day service on emergency calls. If you are in need of a new hot water unit, Pro-Action Hot Water can upgrade your existing system to the latest 5 star rated energy unit. Not only will an upgraded system save you money on your monthly bills, you’ll also be ensuring a more energy efficient service for your home. There’s no need to put up with a poor performing hot water system anymore. For emergency calls, we offer same day service. We are available 24/7 to ensure there is minimum disruption to your household. Call us any time and we will be there. We also offer over the phone advice to help minimise damage before we arrive. Our vehicles are fully equipped with enough materials and the right tools to get you out of any situation that might arise. 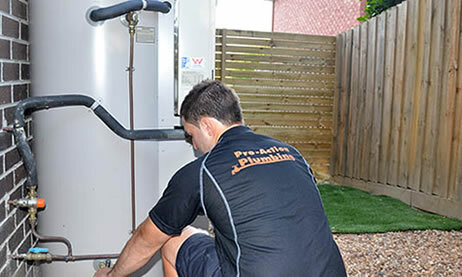 Book a Pro-Action Hot Water plumber now to discuss your hot water problem and arrange repair of your system or, if required, the best option for replacement. All our emergency hot water repairs and installations are conducted by qualified and licensed plumbers from Pro-Action Plumbing. We work with a range of hot water systems, including the following well known brands.